Easter is tomorrow! If you got a little behind and let Easter sneak up on you, you might be a little worried about getting Easter desserts churned out in time. But never fear- cute, last-minute Easter treats are just a cake mix away! If you can spare 20 minutes to bake cupcakes, we’ve got the decorations covered. We’ve rounded up the easiest Easter cupcake decorations we found on Pinterest to make your lives a little easier. For this first cupcake, you just need a Twizzler. 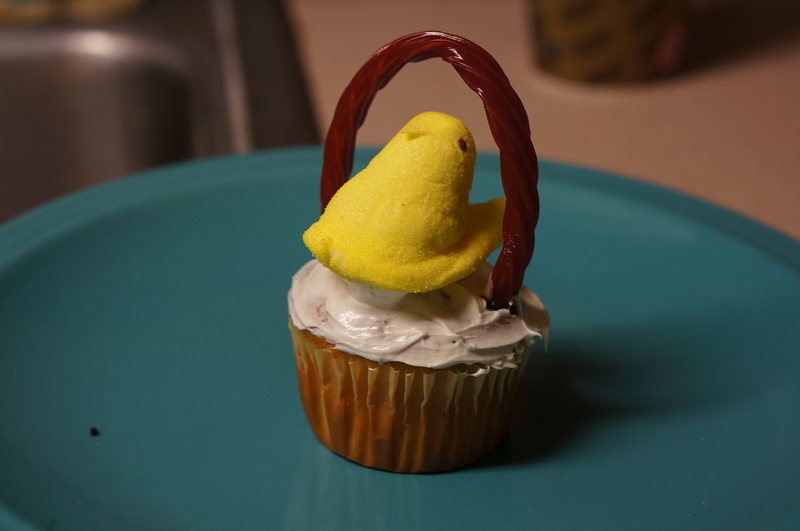 Poke both ends of the Twizzler into the cupcake to turn it into a mini Easter basket! 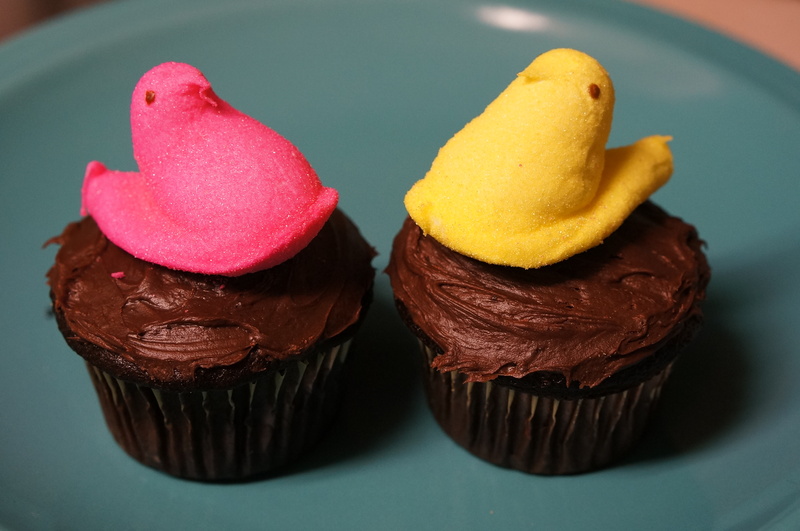 We put a Peep in ours, but you can also put Mini M&ms on the cupcake for a cute result. Just a Peep is probably the easiest option here. We think they look best placed on chocolate icing. This cupcake topper is probably the most complicated. 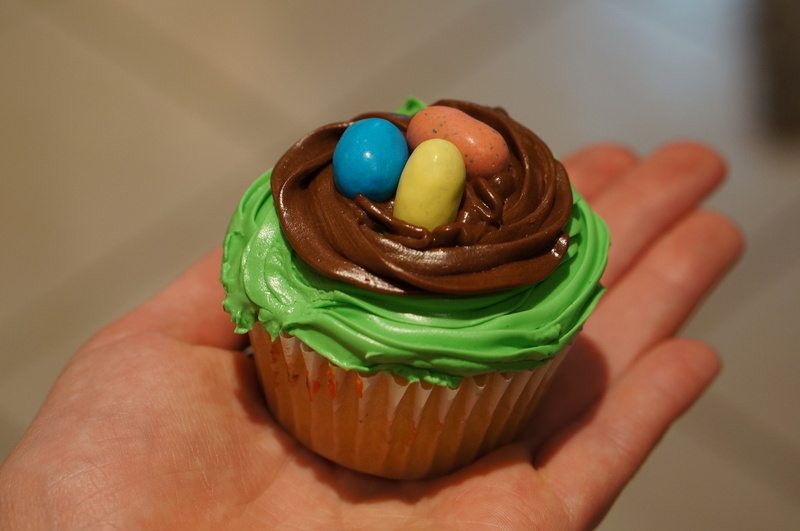 Frost your cupcake with green icing, make a little nest with chocolate icing and put some Robin’s Eggs in the nest.